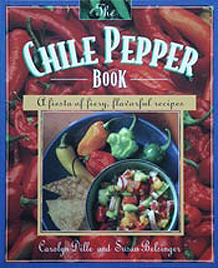 The Chile Pepper Book is A Fiesta of Fiery, Flavorful Recipes. Chileheads will delight in the recipes in this book featuring the capsicums and benefit from their healthy properties. Chiles come in all shapes, colors and sizes from tiny red pequins to chunky, dark green poblanos and in degrees of heat from warm and tingly to off the Richter Scale. 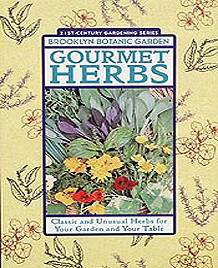 What they have in common is almost addictive appeal, whether they are chopped fresh in salsas, roasted on the grill, or toasted and ground in hearty stews. The Chile Pepper Book demystifies this complex and abundant vegetable with entertaining discourse on its history, culture, health benefits, and many uses. 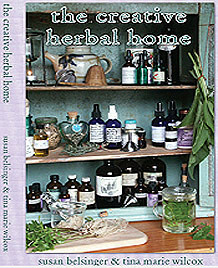 Best of all, though, are the three dozen-plus simple, delicious recipes for everything from soup to dessert. Here’s to eating hot chiles! Carolyn Dille and Susan Belsinger, Interweave Press, 1994.